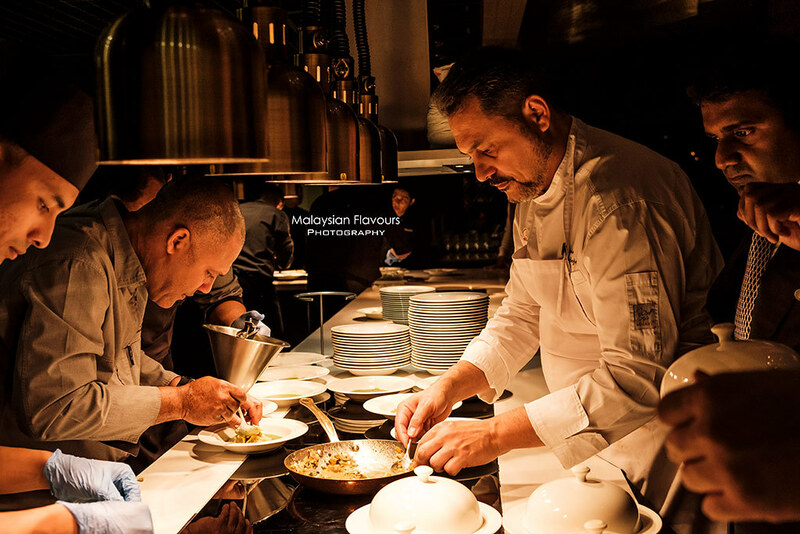 An evening of extraordinary Italian taste at Curate, Four Seasons Hotel Kuala Lumpur! 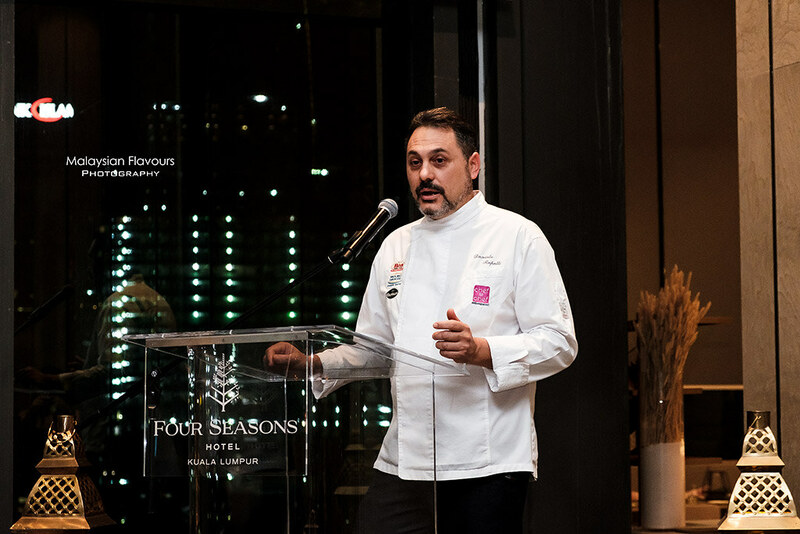 In conjunction with the third edition of Italian Cuisine Week in the World – a week-long event that celebrates the promotion of Italian food and wine abroad, Four Seasons Hotel Kuala Lumpur has collaborated with Michelin star Chef Daniele Repetti for a gastronomic evening of Italian flavours, at Curate. 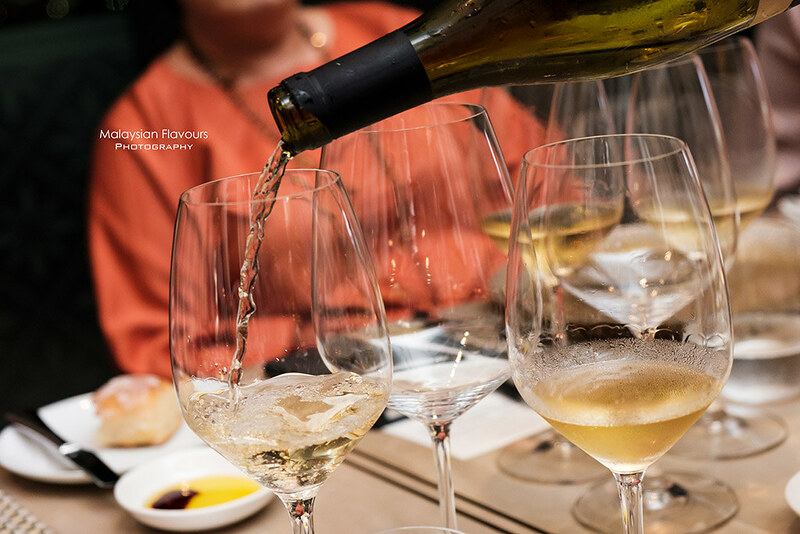 Chef Daniele Repetti, the artists behind one-Michelin star restaurant Il Nido del Picchio in Italy, had crafted a 5-course menu that highlighted Emilian cuisine and Mediterranean diet, paired with wines flown in by Luretta Winery. 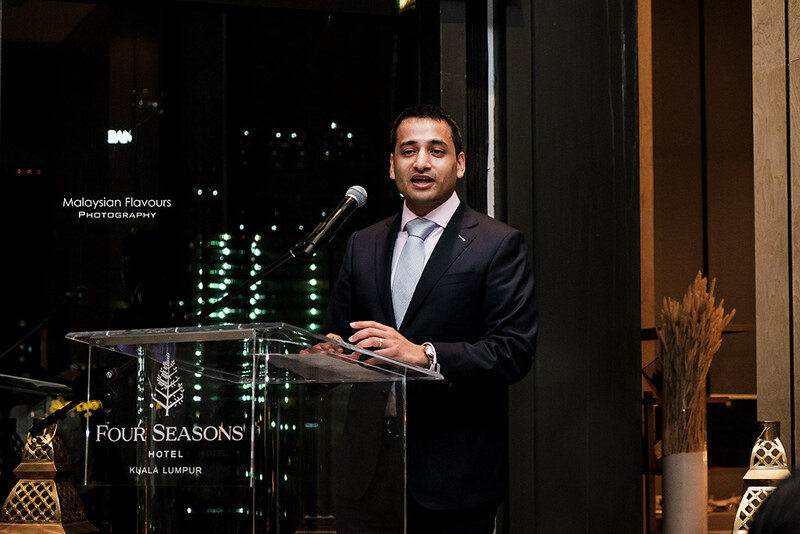 The evening began with welcome speech by H.E. 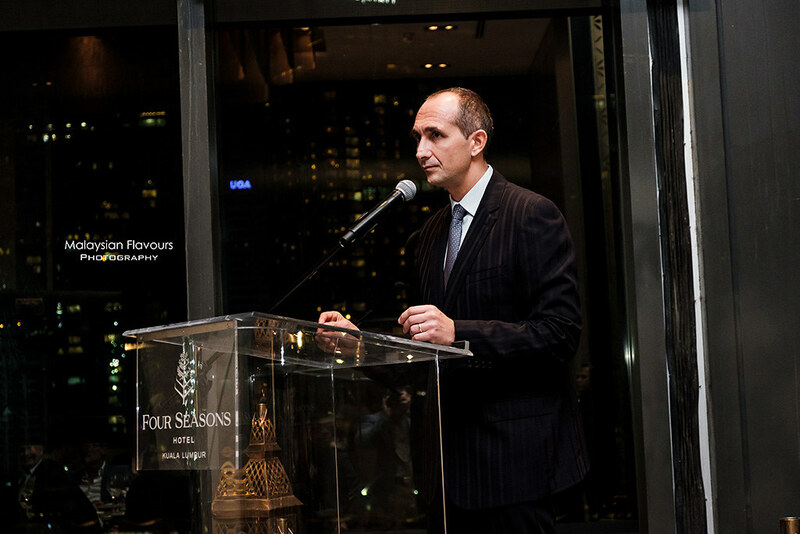 Cristiano Maggipinto from Embassy of Italy of Kuala Lumpur, followed by speech from Dr Porsia, Trade Commissioner of the Italian Trade Commission in Kuala Lumpur. 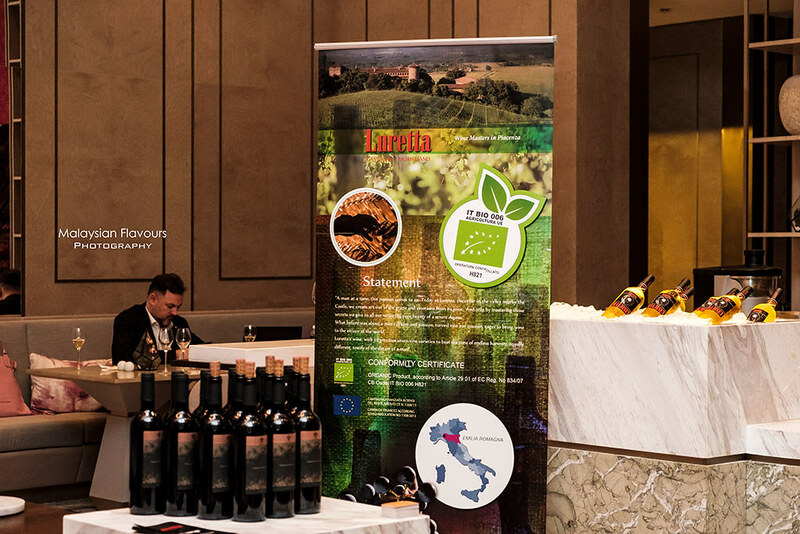 Speech by Four Seasons representative, Mr. Vinod Narayan, Hotel Manager of Four Seasons Hotel Kuala Lumpur joined next, continued with introduction of Chef Daniele Reppeti, Lucio Salamini from Luretta Winery and world-renowned nutritionist Dr Rolando Bolognino. 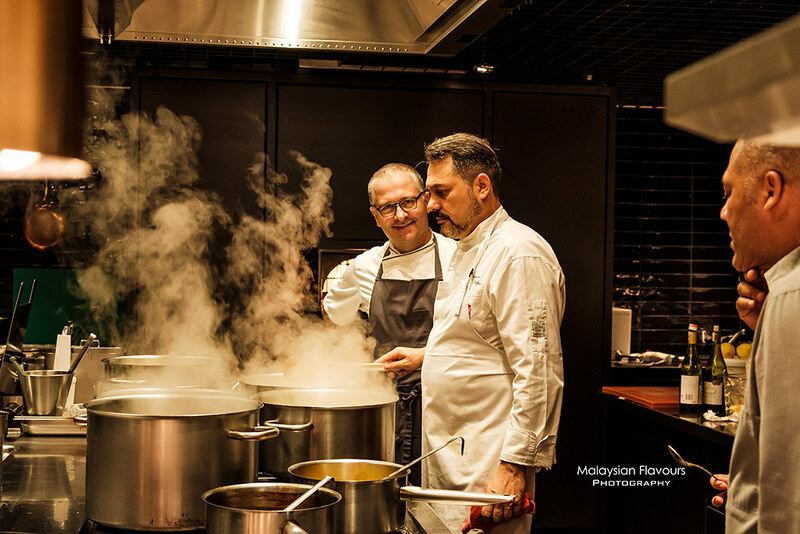 Now, let’s get the Homage to the Italian Tradition of Genuice Cooking started! 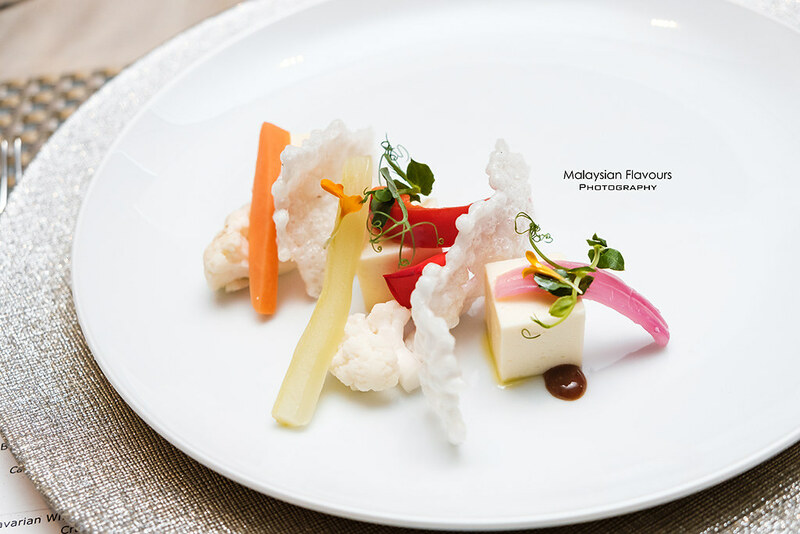 Squarish treat of Parmesan cheese terrine, flavours lifted up with bright, refreshing sourness of pickle vegetables and balsamic vinegar. 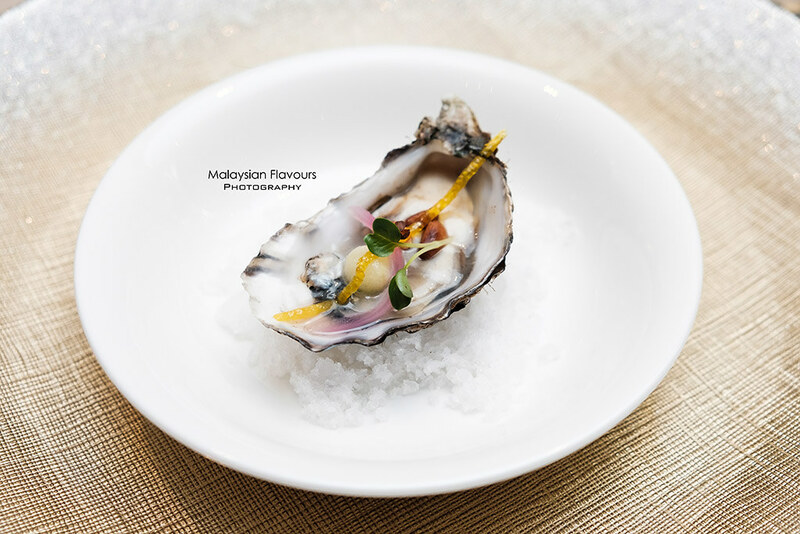 Crispy puffed tapioco chips layered in between to further enhance the texture. 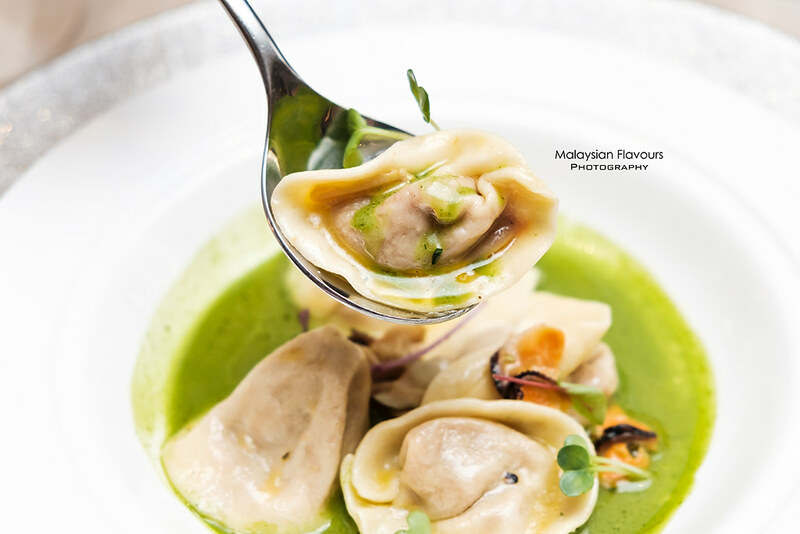 Dainty morsels of ravioli with flavours of tomato shines through – bursts of juiciness, sweetness, sourness and umaminess. Served in smooth, heart-warming seafood soup. 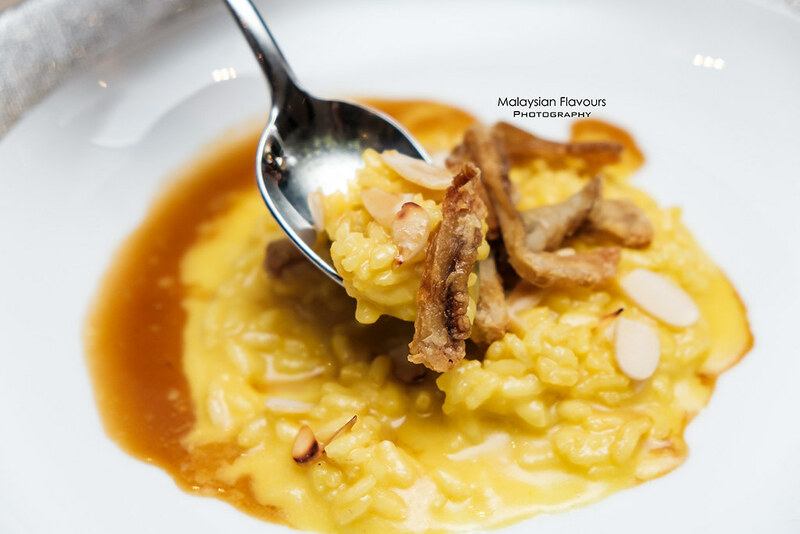 Rich creamy saffron-infused risotto cooked to plump yet al-dente at the core, pairing with architoke that was given a make over – cut in stripes, deep fried to crunchy golden brown. A classic that concocted with contrasting texture elements, easily won our heart. 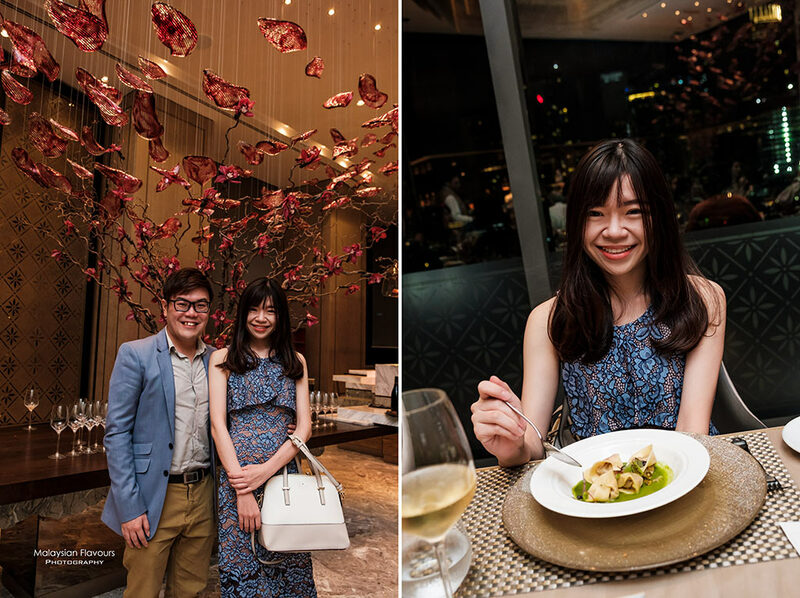 The real winner in this 5-course set dinner. 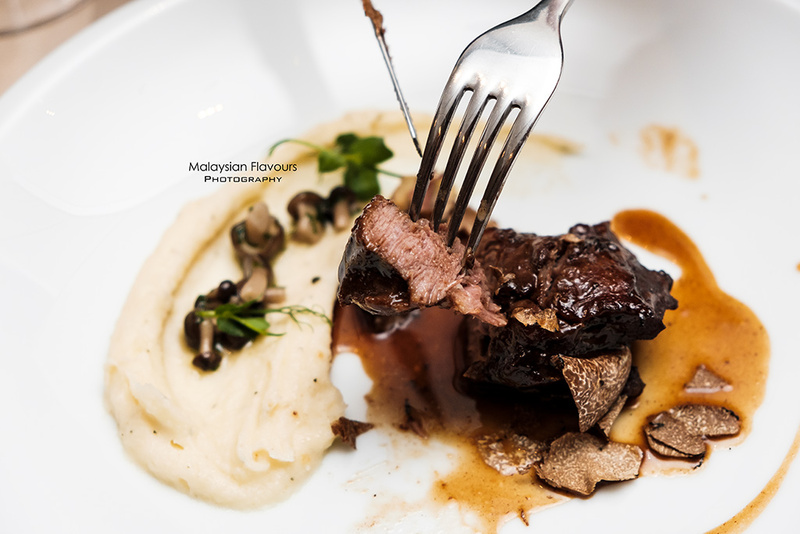 Veal cheek braised for long hours, resulting in soft, fork-tender meat that was so wonderful in every bite. 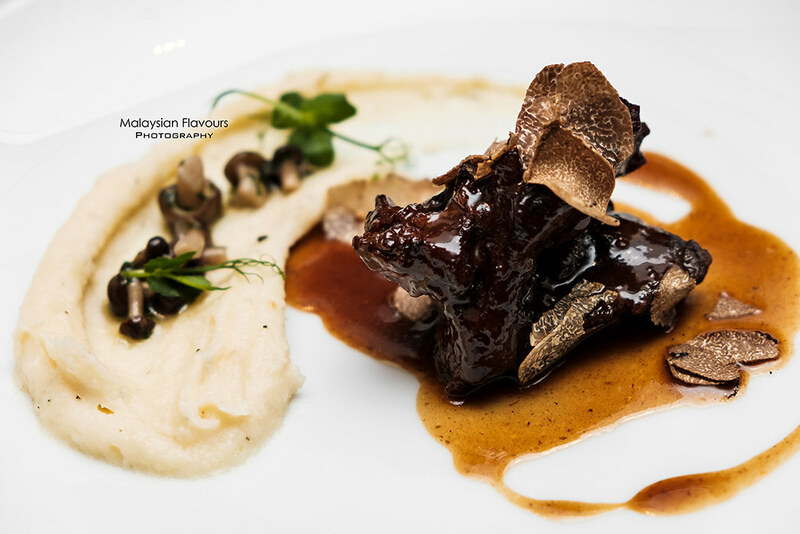 Served with a side of creamy tomato, poplar mushrooms and finally, garnished with shaved truffles for a luscious finish. 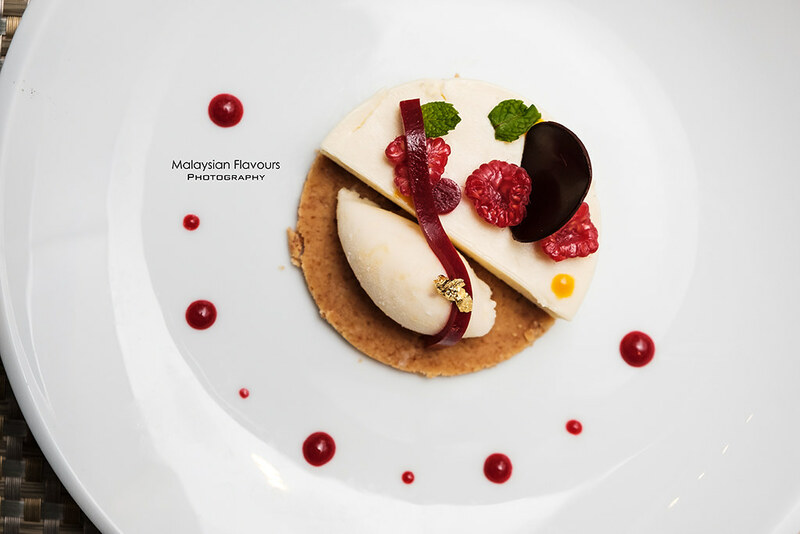 Last but not least, a beautiful combination of Bavarian white chocolate mousse, Amaretti biscuit crumble, pineapple sorbet and raspberry jelly as dessert to end the meal sweet. 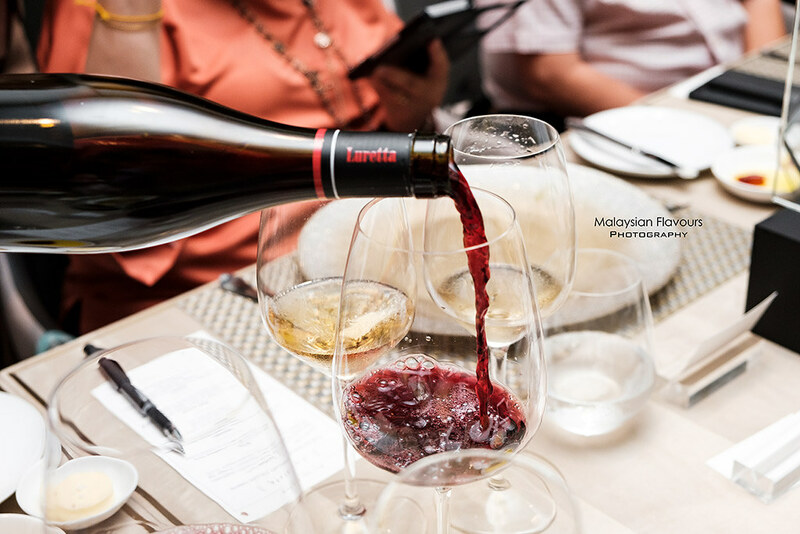 Wine selections in this dinner are Luretta Malmsey Malvasia Secca, Castel Vento Sauvignon Blanc by Cantine Luretta, Luretta Achab Pinot Noir, Castel Vento Cabernet Sauvignon by Cantine Luretta, Luretta Le Rane Malvasia Dolce, in sequence starting from appetizer. 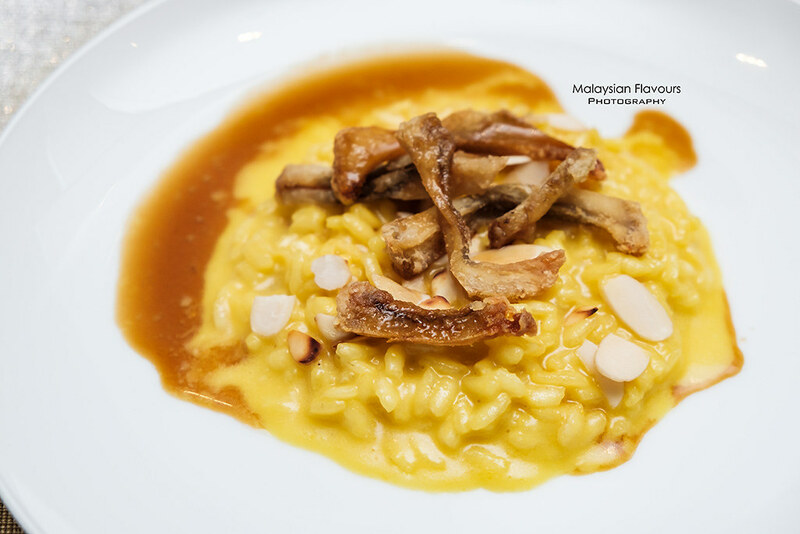 Overall, an enjoyable Italian dinner experience at Curate, Four Seasons Hotel Kuala Lumpur. 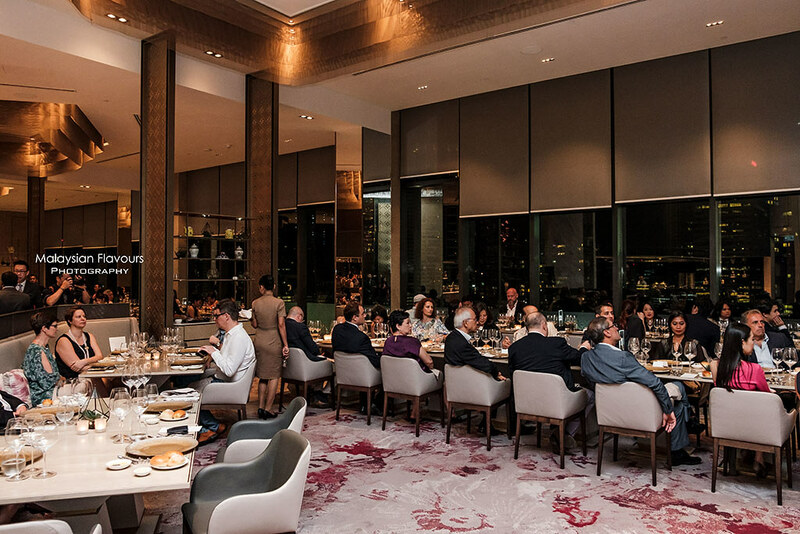 Love how Chef Daniele Repetti and team elaborates fresh, raw ingredients into this specially crafted menu while firmly anchored to the values of Italian cuisine and traditions. 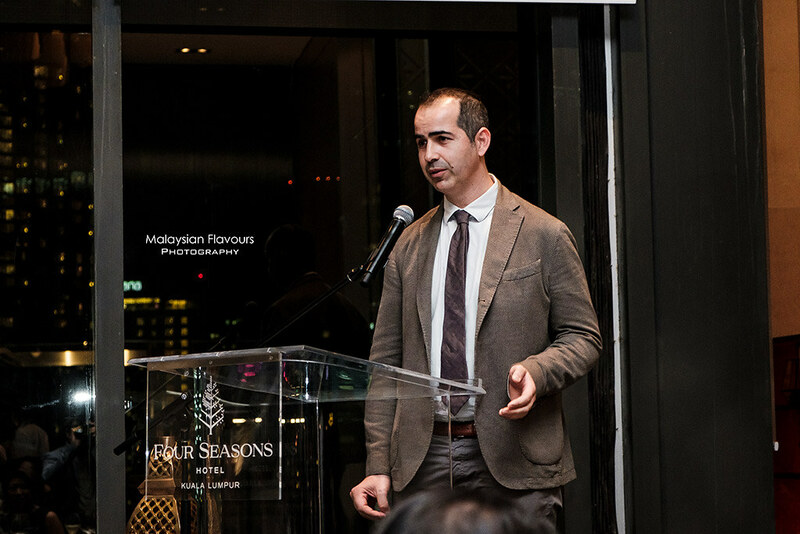 To keep the celebratory event on going, Curate, Four Seasons Hotel Kuala Lumpur also featured a brunch buffet under the theme of “Experiences on The Italian Taste Truck” on 25 Nov, 2018. 145, Jalan Ampang, Kuala Lumpur, Malaysia.